Markin Hall supports learning as a hands on, continuous process. Markin Hall is the home of the Dhillon School of Business and Faculty of Health Sciences at the University of Lethbridge. The dual-purpose facility occupies a prominent location on an important quad in the campus. The building design had to address this prominence on the one side, while also rehabilitating residual service zones to more active uses on the other side of the building. The project consists of almost 10,000 square meters of teaching and faculty office space as well as specialized, experiential learning environments. 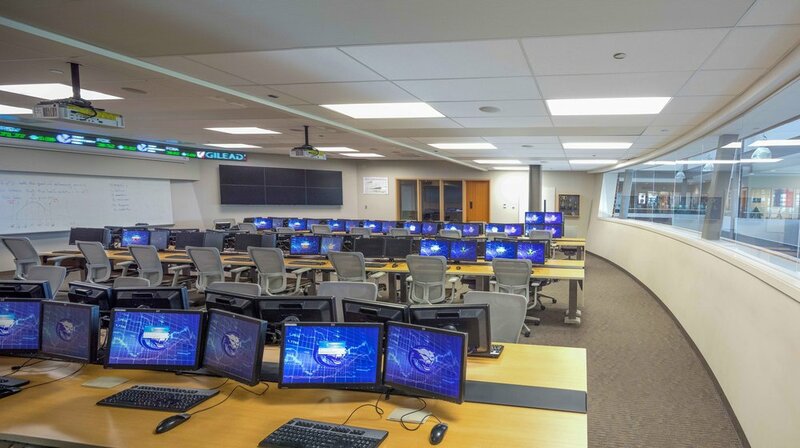 For the Dhillon School of Business these environments include a stock trading room, case rooms, and project rooms. 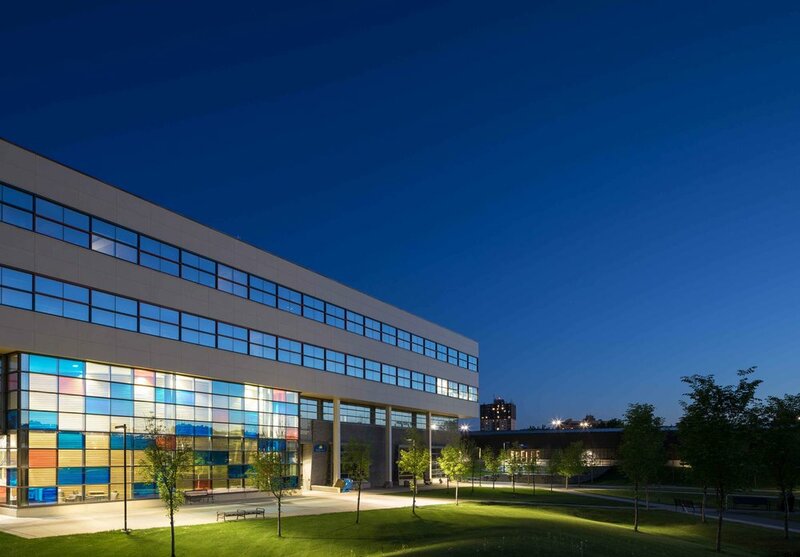 Health Sciences environments include a Problem-based Learning Suite, an Addictions Counselling training suite (one of only two programs in Canada), and Patient Simulator Labs. 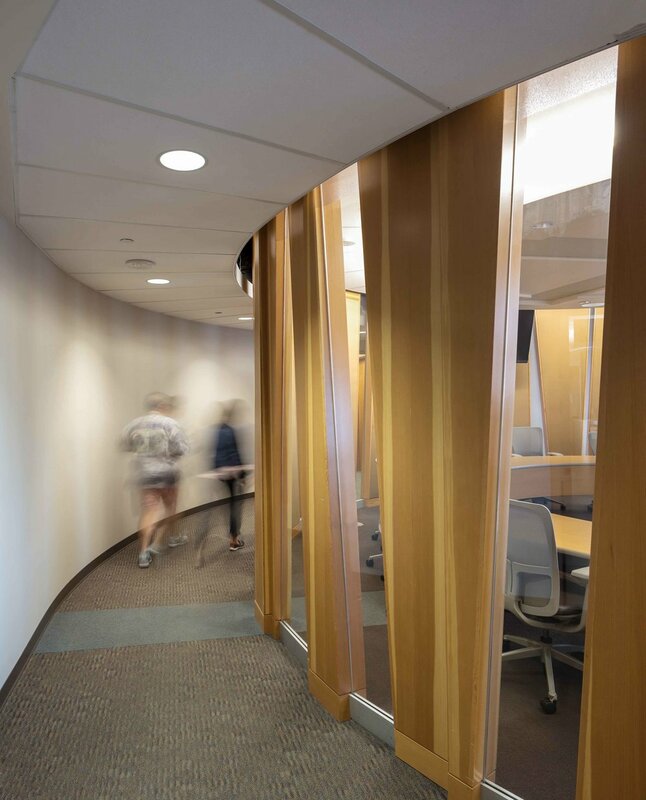 A video conferencing theatre occupies a prominent location inside an elliptical 'drum' within the main atrium, giving the University the capability of providing a high level of instruction to students across the province. In addition to prime consulting services, GEC completed the functional program for the project in the spring of 2006. The functional program included the development of guiding design principles, schedule of accommodation, functional relationship diagrams developed through an interactive process with the University and their project stakeholders.